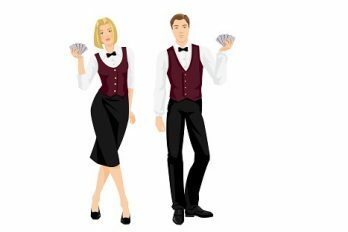 Want to find out some crazy facts about gambling and casinos? If so, you’re in the right place! We’ve put together a list of interesting facts about slot machines, casinos, and general gambling. 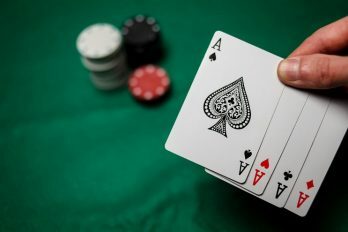 So whether you’re a regular casino goer or just a trivia buff, keep reading to learn some crazy facts about gambling and casinos. This fact will be particularly inspiring to small business owners and aspiring gamblers. In 1973, the courier company FedEx got into financial trouble. Instead of giving up on his company, the founder saved his business by gambling in Vegas. In just one sitting, Frederick Smith earned a whopping $27,000 in blackjack! Before his trip, the company only had $5,000 to its name. When Smith returned, he managed to save his floundering company with his new found riches. This kept the company going long enough to raise $11 million and earn its first profits. If you’re a gambling addict, several states in the US allow you to voluntarily ban yourself from casinos. Once this step has been taken, it’s a crime to step foot into the building. In Ohio, addicts can put themselves on the “Voluntary Exclusion” program. Designed for gamblers looking to kick the habit, the programme allows them to ban themselves for a set duration of time. Gamblers have the option to ban themselves for either a year, five years, or life. Once you’ve entered the program, there is no way to get your name off the list. Gambling is so popular in Nevada that even the prison contained a casino. For 35 years, inmates could enjoy a game of poker, blackjack, or craps. To bet on a sporting event, inmates would head to the “Bullpen”, a building on the prison’s grounds in Carson City. In 1967, the casino was shut down by a new warden from California. The new member of staff believed that gambling was a “degradation” to the inmates. The infamous Monte Carlo Casino is a favourite of gamblers worldwide. However, citizens of Monaco can’t actually use it! In the mid-1880s, Princess Caroline made it illegal for citizens to gamble in the casino. Apparently, this was to ensure the revenue was generated from foreigners only. While this may be annoying, there is one upside for the citizens of Monaco. Currently, they do not have to pay income tax as Monaco uses the casino money instead. Legend has it that the sandwich was invented in the casino. In 1765, the fourth Earl of Sandwich, John Montagu was so addicted to gambling that he didn’t want to leave the table to eat. Instead, he asked for some meat between sliced bread so he could eat and gamble at the same time. While this is an interesting story, most people believe that that’s all it is. Deriving from a French travel guide about London, the legend is now spoken of worldwide. The worlds smallest casino is located in the back of a London cab. The Grosvenor Casino in London has a mobile casino in the back of a taxi. When riding, gamblers can enjoy a gaming table, dealer, bar, and even a TV. Providing that they make a charitable donation, the cab lets riders go anywhere in the city. If they want to be dropped at the Grosvenor Casino, the ride will be free of charge. When the slot machine was invented in 1895, it wasn’t used in the casino. When Charles Fey invented the “Liberty Bell” machine, it was housed in his shop for customers to use while they waited for their cars to be fixed. As the game rose in popularity, casinos started buying them for gamblers to use while they were waiting for a table. Although many people think Vegas is the gambling capital of the world, that’s not actually true. The Chinese city of Macau is the world’s largest gambling city. Interestingly, it’s also the only area in China where gambling is legal. In 2012, Macau’s casino revenues were almost five times as much as Vegas’. While Vegas generates most of its profits from penny slots, 75% of Macau’s money comes from high rollers placing huge bets on table games. Contrary to popular belief, penny slots are the most profitable games for the casino industry. According to casino owners, the machines became popular during the early 2000s recession. Accepting wagers of just one penny, penny slots allowed players to gamble when money was tight. Today, most casinos have more penny slot machines than any other sort. In the Atlantic Club Casino Hotel in Atlantic City, penny slots make up 75% of their slot machine collection. If you use traditional slot machines, you may be wondering why the reels use symbols of fruit. During the 1880s, slot machines would dispense fruit flavoured gum instead of money. If you weren’t a fan of gum, some machines dispensed tokens to exchange for drinks and cigars. With these crazy facts about gambling and casinos, you won’t let your team down in the next pub quiz! Due to the addictive nature of gambling, it’s important to consider your financial situation before using an online or physical casino. New Leo Vegas Customers Only!